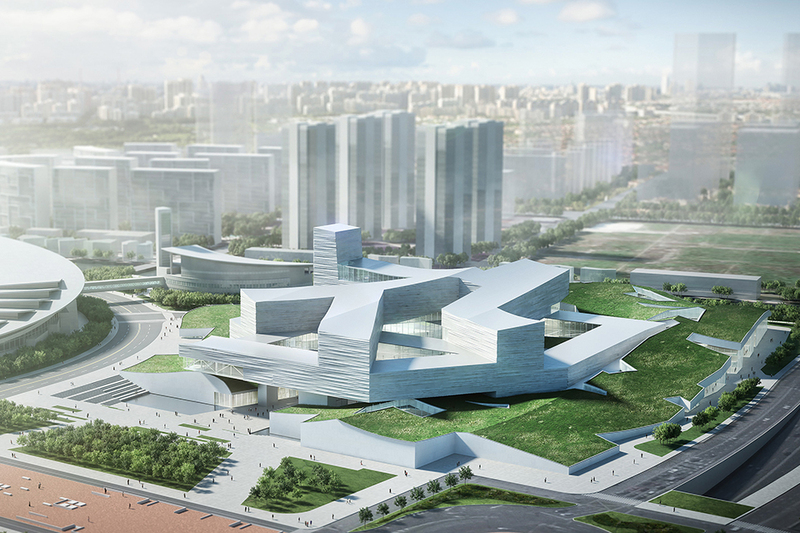 Our design for the Shanghai Museum East Hall rejects the typical isolated object-building in favor of a new model which blends culture and commerce to create a new “field” of urban activity. 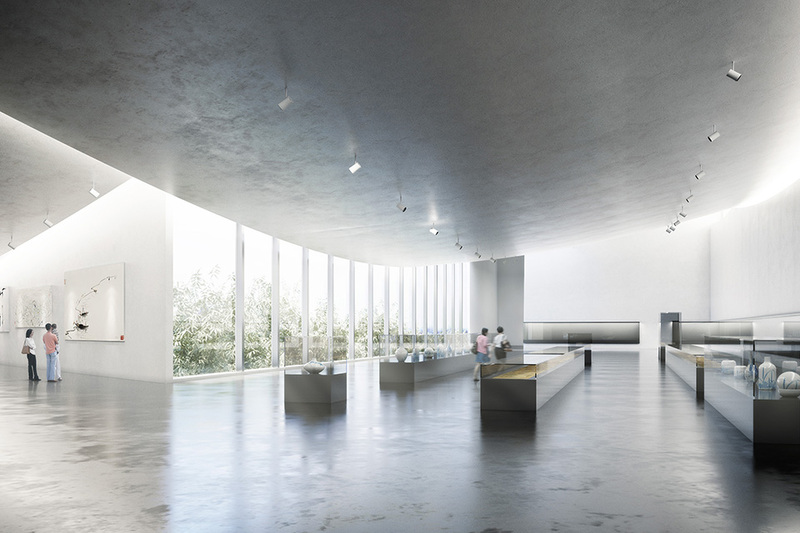 Inspired by traditional Chinese oracle bone inscriptions, the museum program is contained within an intricate volume floating above a planted urban plinth. 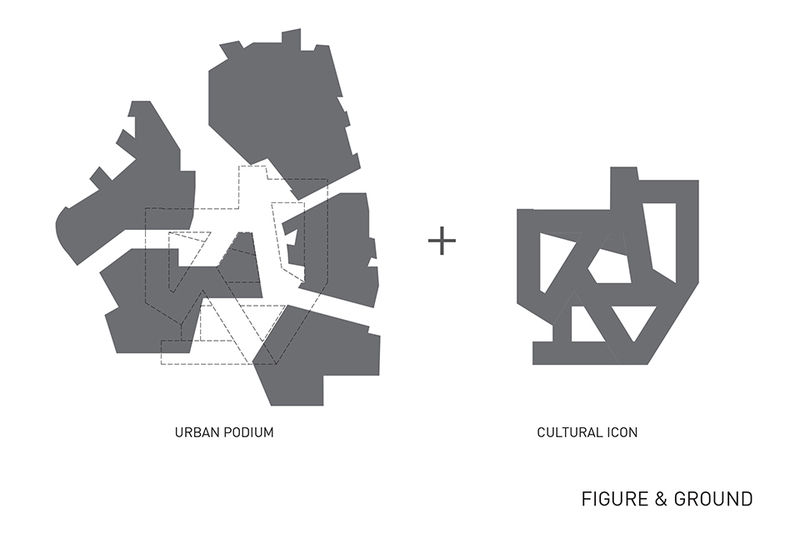 The commercial plinth is designed as a landscaped mass incorporating deep voids that divide the site into multiple spatial zones. 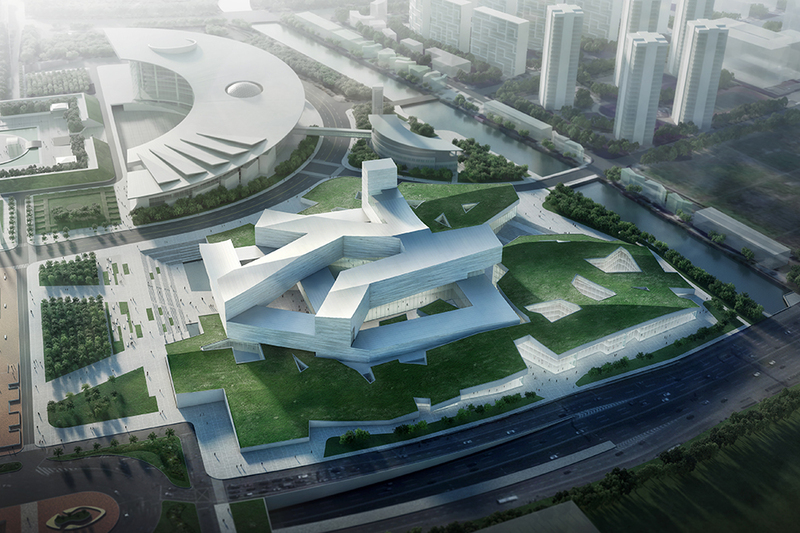 A winding public street running north/south through this mass will bring visitors from ground level to a sunken public space beneath the floating Shanghai Museum East pavilion, forming an active gathering space and a new civic space for the city.